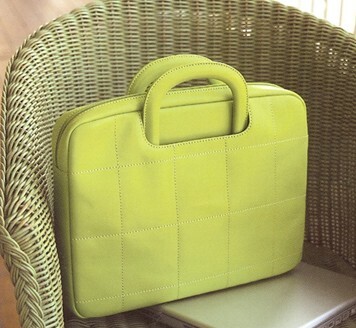 This snappy apple green leather envelope case is just the thing Mom can use to organize photos, coupons, receipts – you name it! The case is trimmed in pink and features a magnetic flap closure. Designed by Vera Bradley for Baekgaard Ltd. Also available in azalea pink with turquoise trim. Find it here. Welcome to Write On and More’s new home in the Blog World. We are very excited to be here and we plan on sharing some Fabulous Finds and Practical Luxuries for the Modern Lady and Gent!